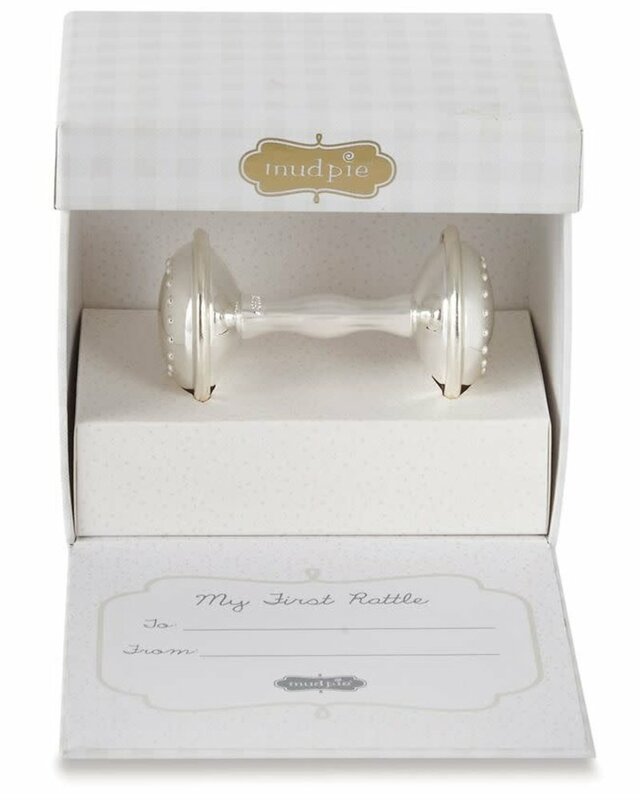 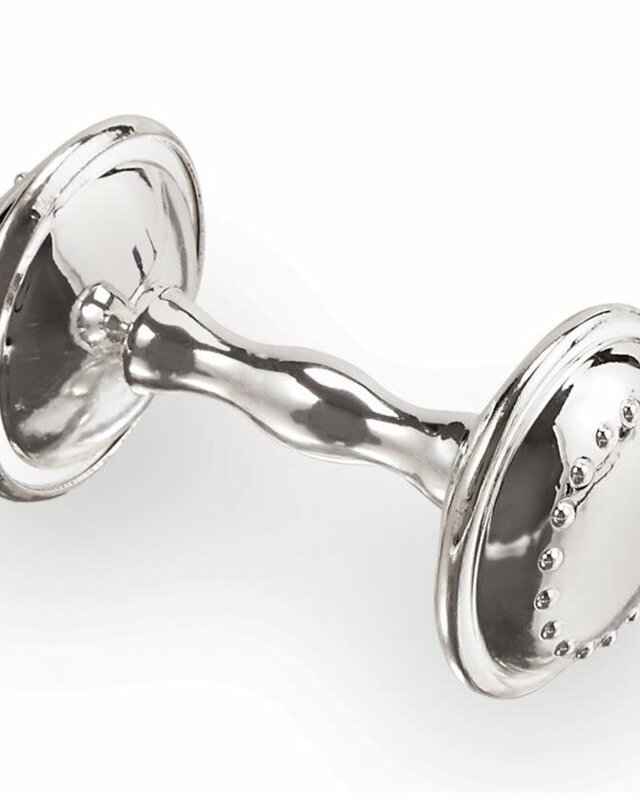 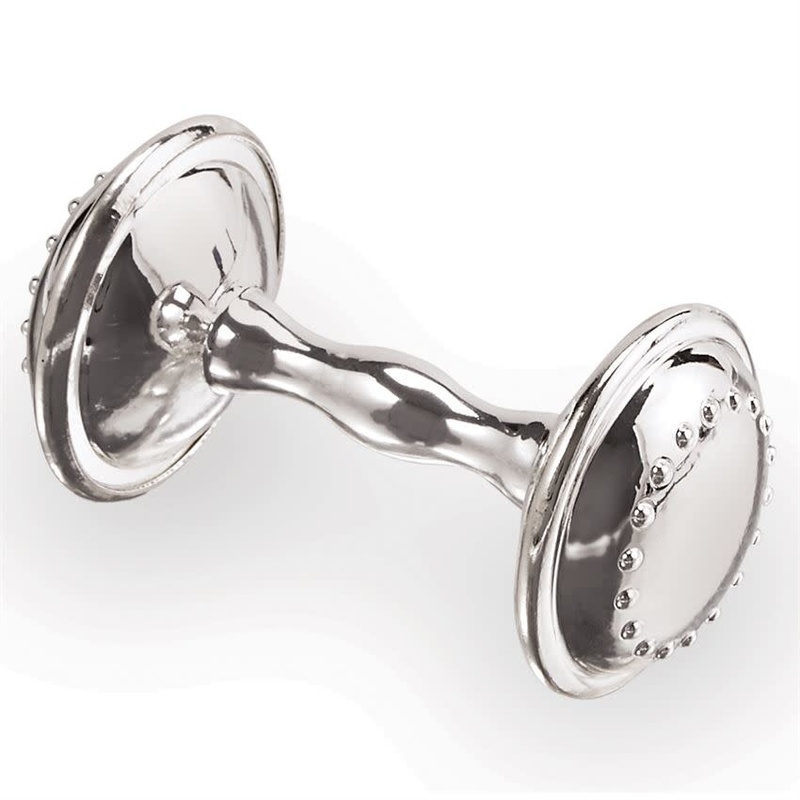 Silver-plated bar rattle features classic raised embellishments & arrives in a MY FIRST RATTLE giftable presentation box, complete with a thoughtful TO/FROM sentiment space. 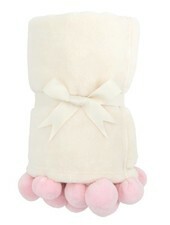 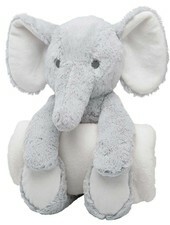 A classic baby shower gift and newborn keepsake! 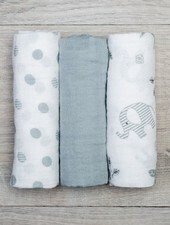 3-piece set. 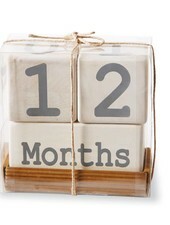 Large numbered wooden blocks rotate to count down or count up Monthly pregnancy or baby milestones. 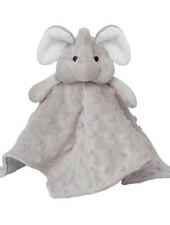 Great shower gift. 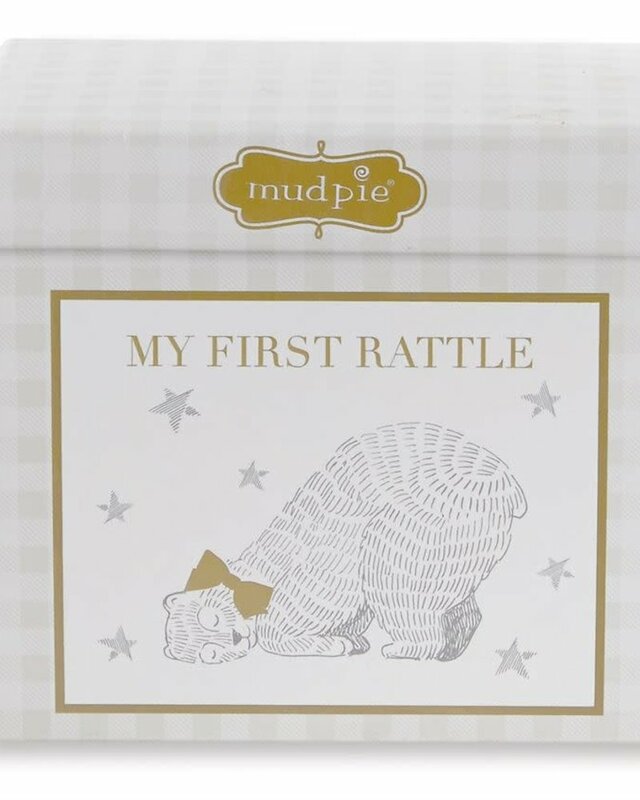 Comes packaged ready to give. 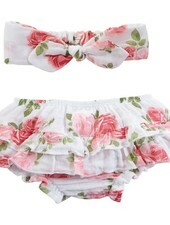 Soft & breathable 2-piece muslin set features a floral printed headband with knotted bow topper, and coordinating muslin bloomers with ruffled leg openings and a ruffle bum design. 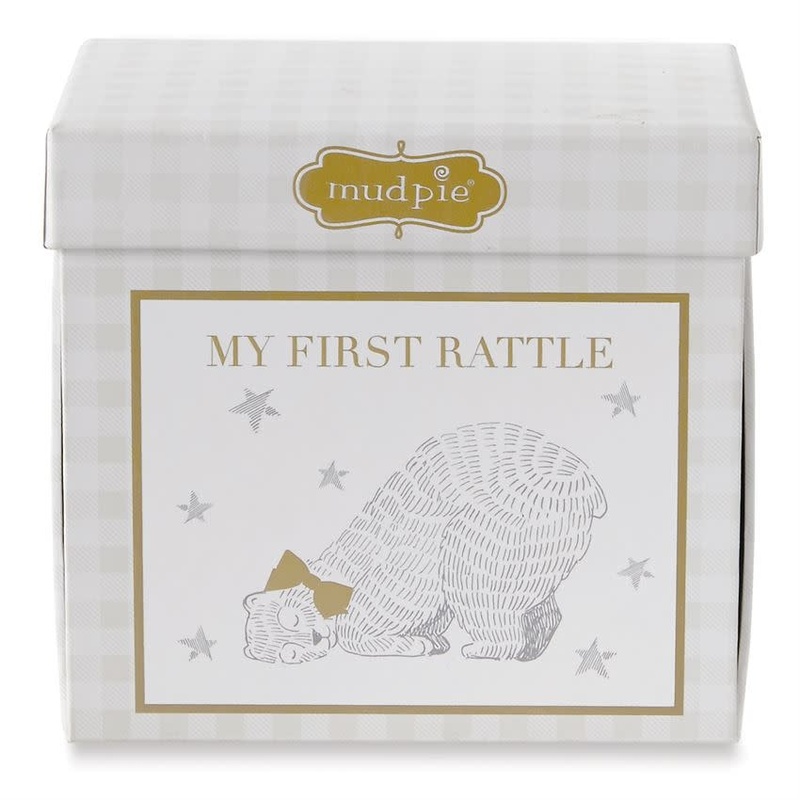 Arrives gift boxed for easy gifting!